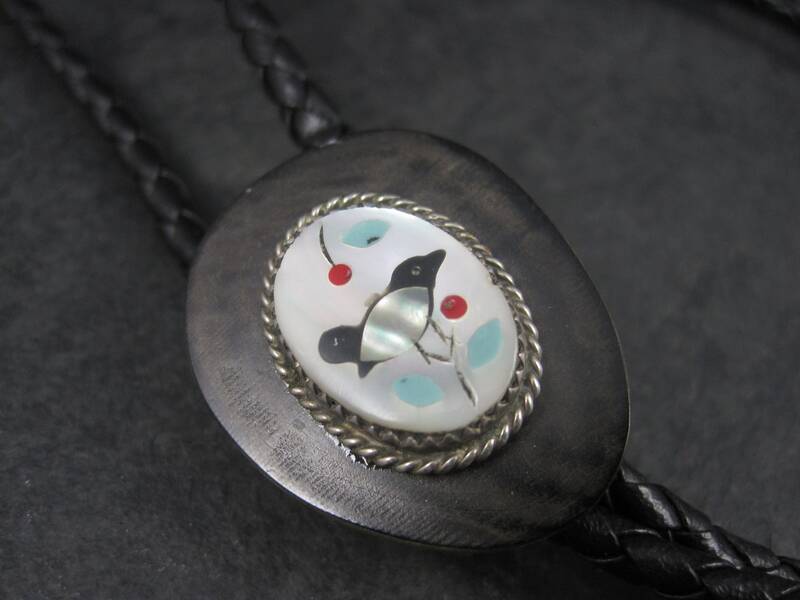 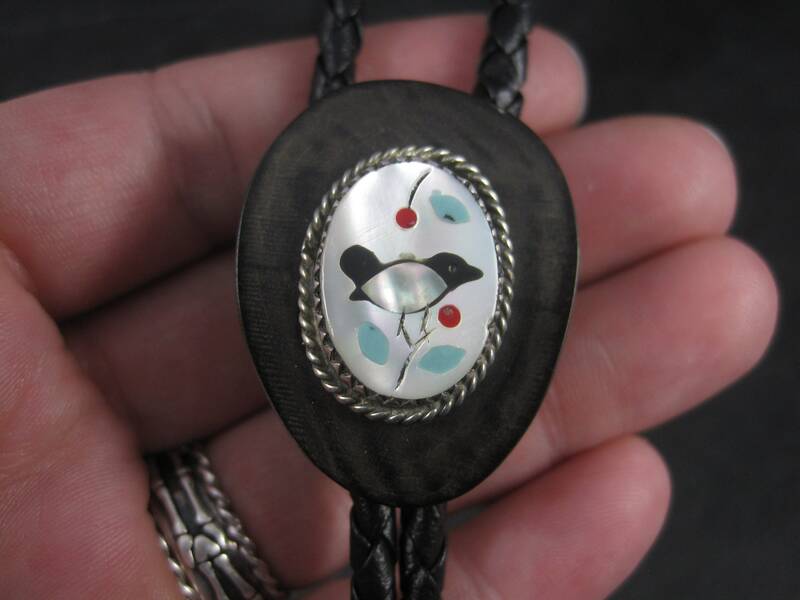 This beautiful vintage Bolo tie is sterling silver with a beautiful bird inlay on a wooden background. 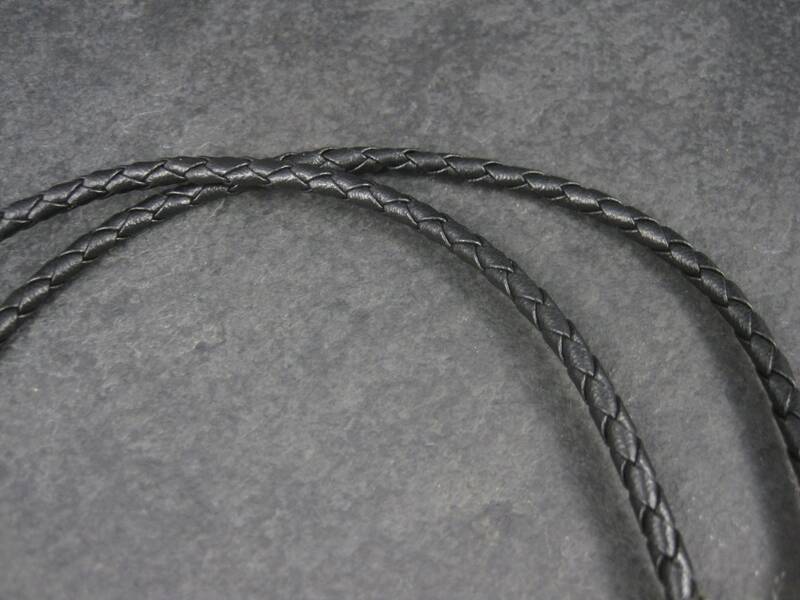 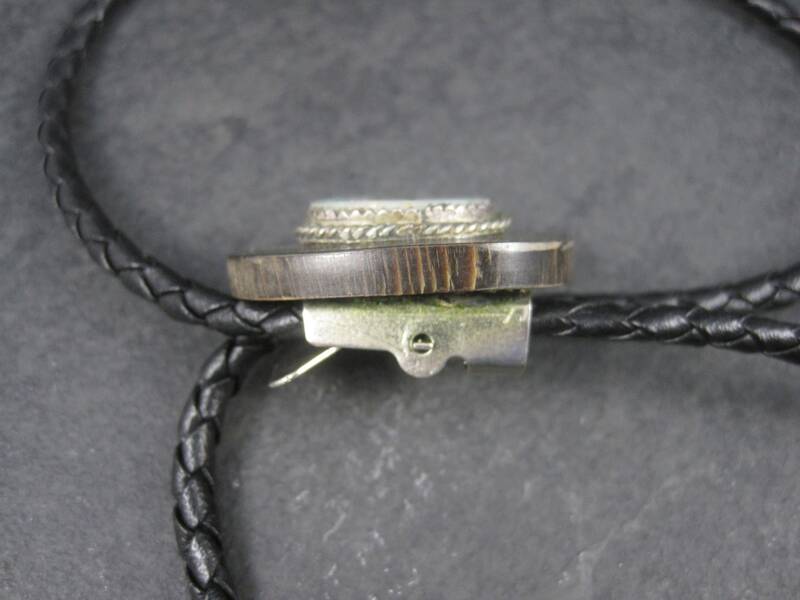 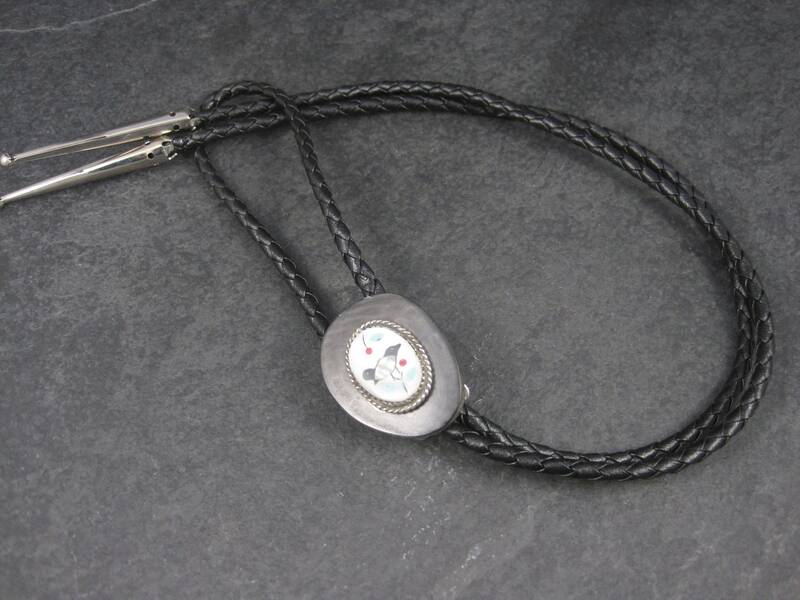 The bolo measures 1 1/16 by 1 3/8 inches. 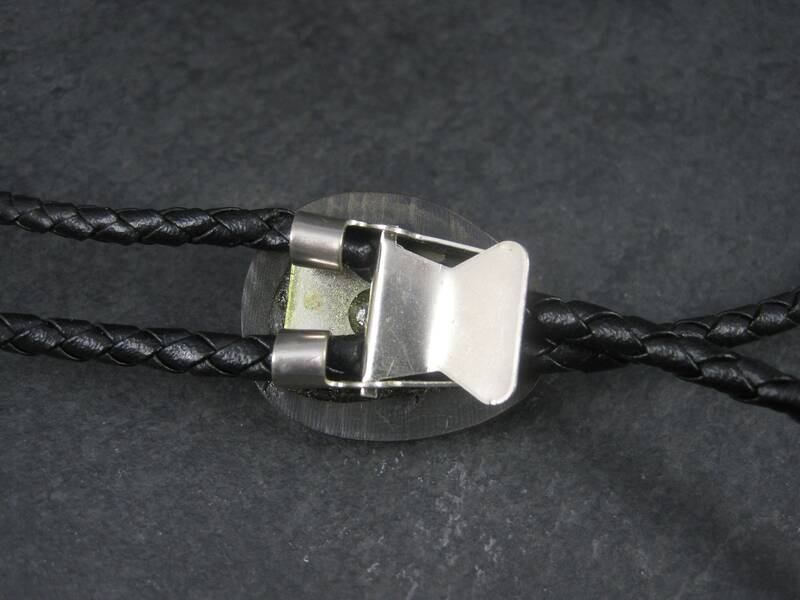 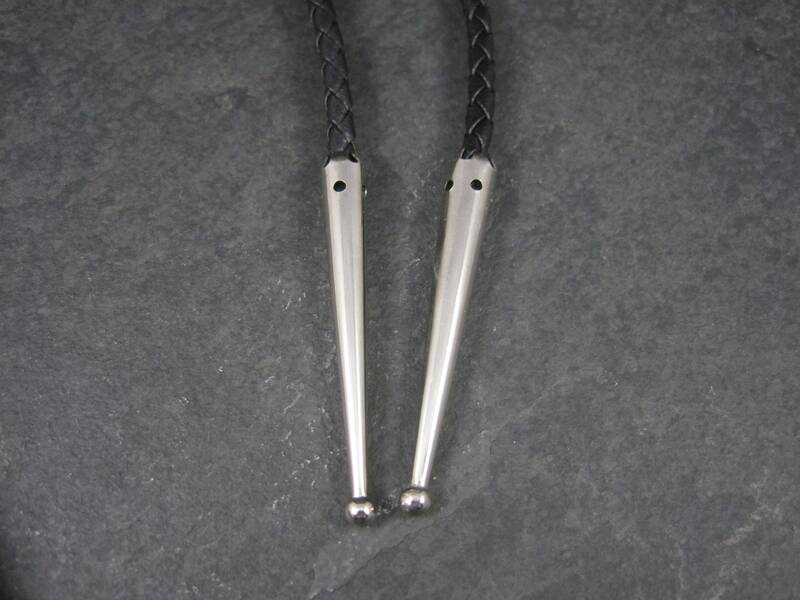 The leather tie measures 36 inches from end to end.